We have officially crossed the threshold of the two week marker for Christmas Day! I’m happy to report I managed to find gifts for my mom and grandmother while in New York, and I found one for my sister online last week – I still have gifts to get for Morris and a few other family members and friends, but I’m happy to have some of the big ones out of the way. It’s hard to believe my favorite holiday is almost here! I loved getting to experience the decor and festive cheer happening in New York last week/weekend, but I’m also glad to be back home so I can enjoy my own holiday decor and festivities with friends this and next week. This Friday I’ll be heading to my friend’s house for a pot luck Christmas dinner! I’ll be bringing an appetizer (these sausage cheese balls – so easy and yum! I always use hot sausage…) and a dessert (these award-winning gingerbread cookies… truly the best I’ve ever had!). Oh, and lots of wine. It’s going to be so fun! 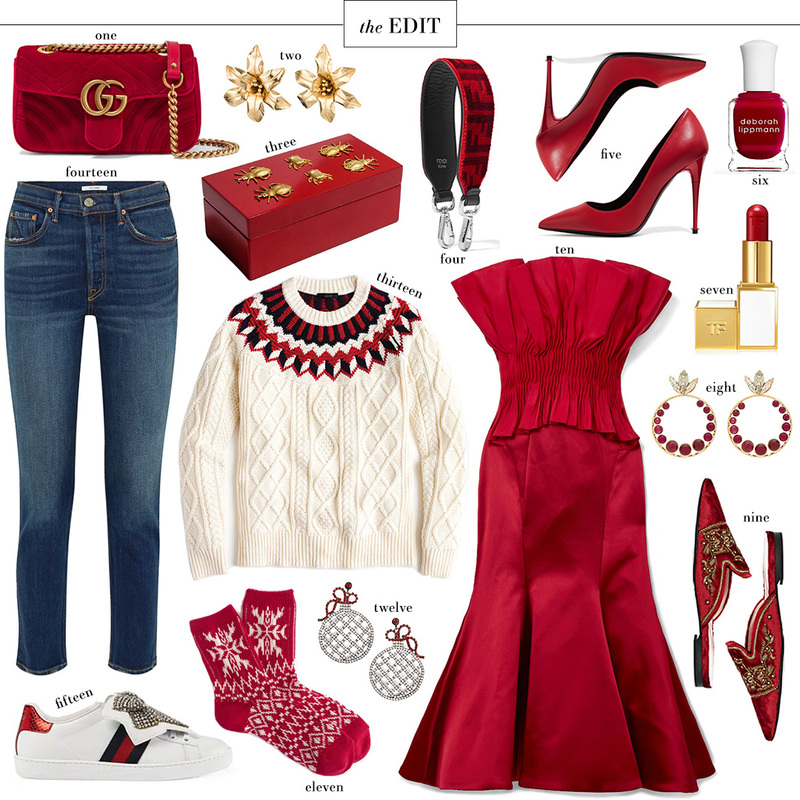 Gimme all the red! Loving that Fendi bag strap.